Judith Farquhar’s innovative study of medicine and popular culture in modern China reveals the thoroughly political and historical character of pleasure. Ranging over a variety of cultural terrains--fiction, medical texts, film and television, journalism, and observations of clinics and urban daily life in Beijing—Appetites challenges the assumption that the mundane enjoyments of bodily life are natural and unvarying. Farquhar analyzes modern Chinese reflections on embodied existence to show how contemporary appetites are grounded in history. From eating well in improving economic times to memories of the late 1950s famine, from the flavors of traditional Chinese medicine to modernity’s private sexual passions, this book argues that embodiment in all its forms must be invented and sustained in public reflections about personal and national life. As much at home in science studies and social theory as in the details of life in Beijing, this account uses anthropology, cultural studies, and literary criticism to read contemporary Chinese life in a materialist and reflexive mode. For both Maoist and market reform periods, this is a story of high culture in appetites, desire in collective life, and politics in the body and its dispositions. "[A]n innovative kind of anthropology . . . . 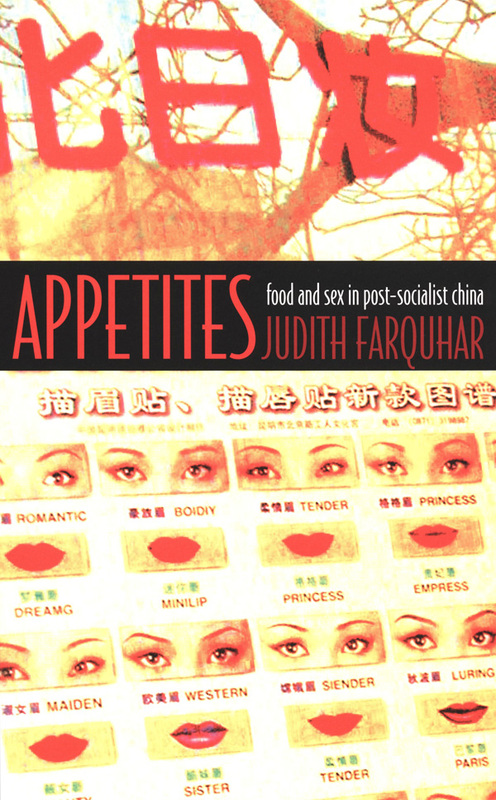 The theoretical discussion in this book is good and interesting. . . . Judith Farquhar has done a fine job in showing how recent fictions in China can be used to write anthropology. . . ."
"Farquhar’s knowledge of Chinese politics and popular culture is equaled by few Western scholars." Judith Farquhar is Professor of Anthropology at the University of North Carolina at Chapel Hill. She is the author of Knowing Practice: The Clinical Encounter of Chinese Medicine.